As part of the exhibition series Next Level, Foam presents the first major solo exhibition of the Dutch artist duo Persijn Broersen (1974) and Margit Lukács (1973). In their monumental works, Broersen and Lukács reflect on nature as a mirror of human perception. In today’s visual culture, fiction is usurping the place of reality. Broersen and Lukács respond to this trend by creating video animations presenting a parallel world of spectacular images that wholly absorb the viewer: true-to-life projections of tree trunks that melt into digital pixels, virtual images of wilderness, breath-taking landscapes that endlessly fall apart and integrate in rapid succession, or a fluttering cloth that morphs into a landscape. The endless loops and metamorphoses of images have an addictive effect, which reflects our mindless consumption of images. The work also raises questions with respect to authorship, the divide between perception and reality, and the social and political agency of images. Using complex layers of edited photos, digital animations and images appropriated from the media, Broersen and Lukács demonstrate how, in contemporary culture, reality, (mass) media and fiction are intimately entwined and together shape our picture of the world around. The subject of their exhibition at Foam, Point Cloud, Old Growth, is the human perception of nature: as a sublime background decor, as a political plaything, or as a historic-cultural concept. The title refers to the ambiguous relations between time and space, replica and reality, and between life and death and virtual eternalisation. Point Cloud is a concept used in 3D software to denote a cloud composed of a huge number of minute dots (data), together forming a replica of an existing object. Old Growth refers to primeval forest, which is the subject investigated in the duo’s latest work, Forest On Location. For this project, the artists travelled to Poland to document Białowieża Forest: Europe’s last and now threatened primeval forest. 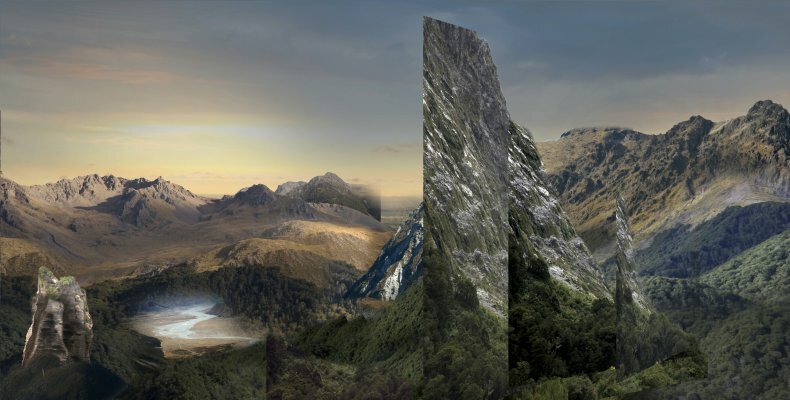 Using 3D photography, they documented parts of the forest to create a virtual model of this rapidly shrinking wilderness. 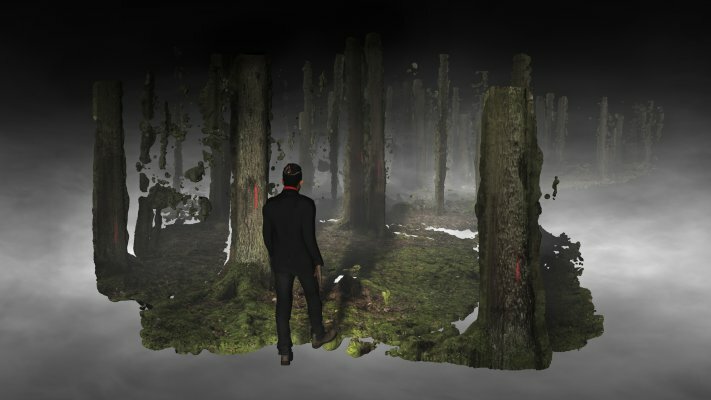 The virtual forest serves as the foundation for a series of new works commissioned by Foam. In a three-part installation of sculptures and projections, Białowieża Forest is examined as a construction of the human imagination. 3D photography is used to create digital renders, presented in the exhibition as video works, 3D printed sculptures and digital animations. In these works, images are continuously constructed and dissected, to shed light on the simulation of reality and the neurological effect of perception. Photography underlies the various media and techniques used by the artists, but it is never the final product. This work method and choice of tools goes hand in hand with a view of reality in which simulation takes the place of representation. In the duo’s work, photography as a direct reflection of the real world becomes a material that can be deconstructed and reshaped into new perceptions of reality. The works displayed in the exhibition were created in collaboration with the Iranian opera singer Shahram Yazdani and the musicians Berend Dubbe and Gwendolyn Thomas. They composed and performed music specially for Point Cloud, Old Growth. The artists Persijn Broersen (Delft, 1974) and Margit Lukács (Amsterdam, 1973) have formed a duo since 2002. They both completed the Graphic Design programme at Amsterdam’s Rietveld Academy and attended the Sandberg Instituut. Their works, consisting of layered projections, digital animations and spatial installations, have been exhibited by renowned institutions and organisations both domestically and internationally, for instance at the Biennale of Sydney (Australia), Stedelijk Museum Amsterdam (NL), MUHKA (BE), Centre Pompidou (FR), Shanghai World Expo (CH) and Casa Enscendida (SP). Their films have been shown at various festivals including LAForum (US), Kassel Dokumentar und Filmfestival (GE), Paris Rencontres (FR), the New York Film Festival (US), and the domestic festivals IDFA and IFFR. Their film Establishing Eden was included in the 2016 Tiger Awards Competition for Short Films in Rotterdam. In 2014, Stedelijk Museum Amsterdam acquired the site-specific work Ruins in Reverse (2014), specially made for the museum’s escalator. Broersen & Lukács are represented by Galerie AKINCI, Amsterdam. Since 2015, Foam presents the exhibition series Next Level, with the support of Ammodo. The series is aimed at introducing the wider public to innovative art by relatively young artists who are making radically new use of the medium of photography. On 6 December Foam is organising an event in light of the exhibition. 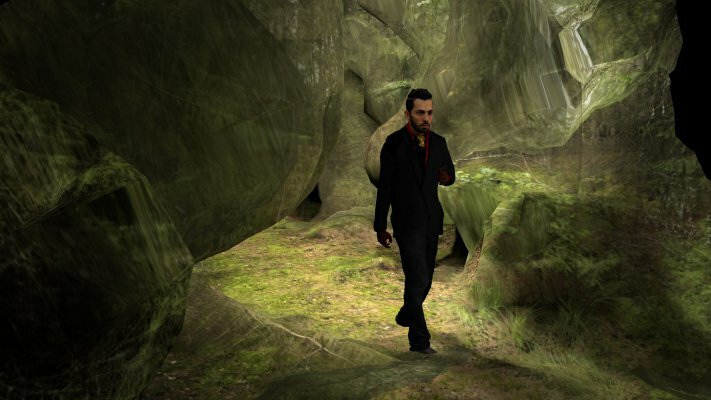 The Iranian opera singer Shahram Yazdani, whose avatar plays a star role in the new work Forest on Location, will give a performance and the artist will reflect on their work with curator Mirjam Kooiman. 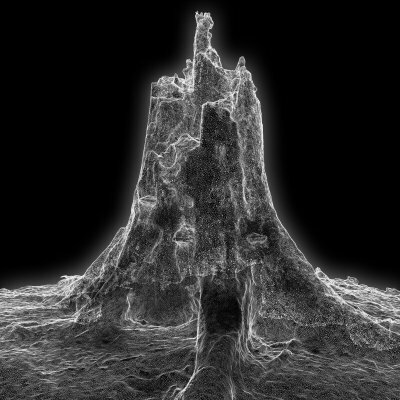 Next Level: Persijn Broersen & Margit Lukács – Point Cloud, Old Growth is supported by Ammodo and the Mondriaan Fund. Foam thanks Stichting Foam Friends and Foam Fund for their generous support of this exhibition. Next Level: Persijn Broersen & Margit Lukács – Point Cloud, Old Growth can be seen from 23 November 2018 until 10 February 2019 at Foam. Open daily 10am - 6pm, Thurs/Fri 10am - 9pm.